Anyone can volunteer to put on a play - the goal is to start more conversations about climate through art. 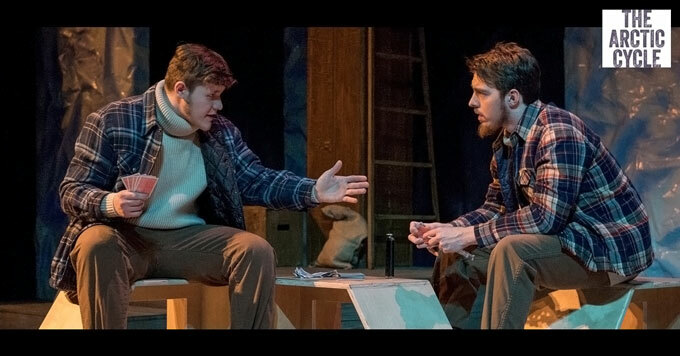 Scene from an Arctic Cycle play called ‘Forward’ (credit: Kansas State University). This fall, people are performing short plays about climate change in theatres, classrooms, and even living rooms around the world. It’s all part of an initiative called Climate Change Theatre Action. That’s Chantal Bilodeau, artistic director of the Arctic Cycle, the group behind the global event. She says anybody can volunteer to present a play at a location of their choosing. Participants must select at least one short script from the theater’s collection. People are also asked to include an action – anything from signing a petition to having a scientist talk about global warming. The performances may take place in intimate venues, but they’re livestreamed when possible to reach larger audiences. This year, Climate Change Theatre Action started in early October and runs through the U.N. climate talks in November, giving these local performances a global significance.